Long ago, when cats ruled the Mac and OS X Lion was the king, Apple began including a hidden partition on the Mac’s startup device. Known as the Recovery HD, it was a special partition that could be used for troubleshooting a Mac, fixing common startup problems, or, if worse came to worst, reinstalling OS X. Pretty nifty, although nothing really new; competing computing systems offered similar capabilities. But one thing that set the Mac’s Recovery HD system apart from others was that the operating system was installed using the internet, by downloading a fresh install of OS X when needed. Which brings us to the questions we're going to answer in this article. Which Version of OS X Does My Recovery HD Actually Install? That’s not a bad question. It seems a no-brainer at first. If you just bought a new Mac, it will have the most current version of OS X installed, and that's what will be tied to the Recovery HD. But what about those of us who didn't buy a new Mac, and just upgraded from older versions of OS X? If you upgraded from Snow Leopard (OS X 10.6) to Lion (OS X 10.7), then your new Recovery HD partition would be tied to the Lion version of OS X. Simple enough, but what if you then updated to Mountain Lion (OS X 10.8), or maybe skipped to Mavericks (OS X 10.9) or Yosemite (OS X 10.10)? Does the Recovery HD volume get updated to the newer OS, or, if you used the Recovery HD partition to reinstall OS X, would you end up back with OS X Lion (or whichever version of OS X you started with)? The simple answer is, whenever you perform a major OS X upgrade, the Recovery HD partition is also upgraded to the same version of OS X. So, an upgrade from Lion to Mountain Lion will result in a Recovery HD linked to OS X Mountain Lion. Likewise, if you skipped a few versions and upgraded to OS X Yosemite, the Recovery HD partition will reflect the change and be linked to OS X Yosemite. Pretty straightforward, at least so far. Here's where it gets tricky. What Happens When I Have Multiple Copies of the Recovery HD? 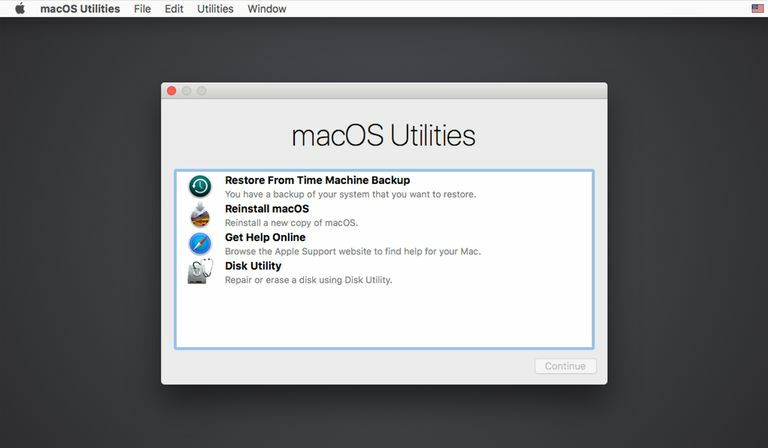 If you've been reading about troubleshooting your Mac here at Lifewire, then you know that one of our recommendations is to install a copy of the Recovery HD on a second, or even third, bootable storage device. This could be a second internal drive, for Macs that support multiple drives, an external drive, or even a USB flash drive. The idea is a simple one; you can’t have too many working recovery HD volumes, should you ever need to actually make use of one. This will become painfully obvious when you encounter startup problems with your Mac’s drive, only to discover that the Recovery HD also isn't working, since it's part of the same startup drive. So, now you have multiple Recovery HD partitions on various bootable volumes. Which one do you use, and how can you tell which version of the Mac OS will be installed, should you need to reinstall the OS? Read on to find out. By far, the easiest way to find out which version of the Mac OS is tied to a Recovery HD partition is to reboot your Mac using the startup manager. Connect any external drive or USB flash drive that contains a Recovery HD partition, and then hold down the option key while you power on or restart your Mac (see Mac OS X Startup Keyboard Shortcuts for details). This will bring up the startup manager, which will display all of the bootable devices connected to your Mac, including your Recovery HD partitions. There are other bootable devices in our list, but CaseyTNG is our current startup drive, and from the three Recovery HD partitions, each displaying the associated Mac OS version, we can easily select the Recovery HD partition we want to use. By the way, it's best to use the Recovery HD partition that's associated with the version of OS X that's running on the startup device that's having problems. If that's not possible, you should use the closest match you have available.